Often called baby seats or child car seats, safety restraints are required by law for children from birth to 7 years old. For them to be effective they must be installed correctly. Children younger than 6 months must be secured in a rearward facing safety restraint. 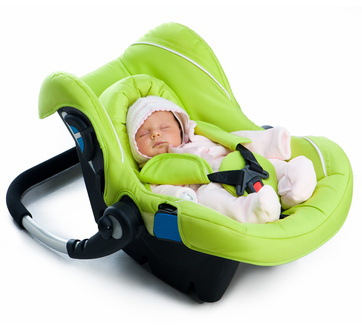 Children aged between 6 months and 4 years must be secured in either a rear or forward facing safety restraint. Children aged between 4 and 7 years must be secured in a forward facing child safety restraint or booster seat. Children aged between 4 and 7 years cannot travel in the front seat of a vehicle unless all other back seats are occupied by children younger than 7 years in child safety restraints or booster seats. Research shows that children properly secured in an approved safety restraint that has been correctly installed are significantly less likely to be injured or killed in a car crash. It also shows that 2 out of 3 children are not correctly restrained in some way, which may result in reduced crash protection. Children up to 7 years of age are at least 4 times more likely to sustain a head injury in a crash when using only a seat belt as compared with children in an appropriate child restraint. Why should I use an Authorised Restraint fitting station? The law does not state that you have to have your child’s restraint fitted by an Authorised fitting station, however you cannot put a price on the peace of mind you will gain, knowing that your child is protected with a correctly installed child restraint. Fines and demerit points apply to drivers who fail to ensure all children are appropriately restrained in a vehicle. Here at Angus Car Service we are an Authorised Fitting Station and our technician can expertly fit and provide advice about child restraints. Please call and make a booking to have your child restraint fitted on 47323 676. 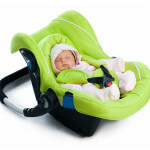 What should I look for when buying a child restraint? Child restraints available in Australia must meet the Australian/New Zealand Standard 1754:2004 for Child restraint systems for use in motor vehicles. Every child is different, so use the following as a guide. Only move your child to the next level of protection when they no longer fit in their current restraint. If your restraint has shoulder marks, move your child to a booster seat when his/her shoulders have passed the upper marks. Can my child sit in the front seat? Children aged between four and seven years cannot travel in the front seat of a vehicle with two or more rows of seats unless all other back seats are occupied by children younger than seven years in a child restraint or booster seat. Note: Front seats do not have child restraint anchorage points supplied, so child restraints and booster seats with tether straps cannot be used in these seating positions, unless yours have had the anchorage points retro-fitted. If the car has one row of seats (for eg: single cab ute, sports car with a front anchorage point) a child of any age can sit in the front seat provided they are properly restrained. However, most car manufacturers recommend against the use of rearward facing restraints in front passenger seats. A child in a rearward facing restraint should never be placed in the front seat of a vehicle where there is an airbag. What if I need to travel in a taxi with my child? Occupy a seating position that is fitted with a suitable seatbelt and not share a seatbelt. Passengers aged between 4 and 7 years of age may sit in the front seat only if all the rear seats are occupied by passengers under 7 years old. In NSW one in ten taxi’s carry an approved safety restraint. If you require a child restraint you should ask for one when booking the taxi, or alternatively take one with you.